Dinosaur Mobile Hanging Dinosaurs. 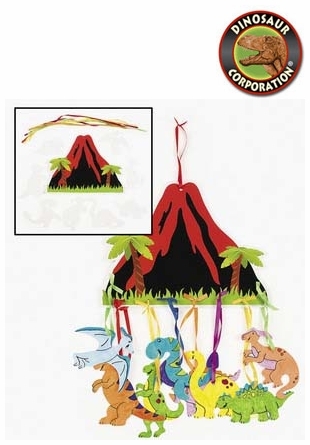 Each kit includes a 12" volcano with 8 assorted 5 1/4" dinosaurs you color and decorate yourself. Made of cardboard. Ribbon included.